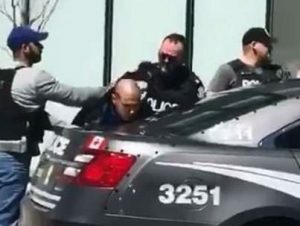 A van struck and killed nine pedestrians Monday afternoon in north Toronto and the driver fled the scene, Canadian police said. Sixteen others were injured in the incident. Authorities said the van has been found and the driver was in custody. Police said they did not yet know the cause or any possible motive. 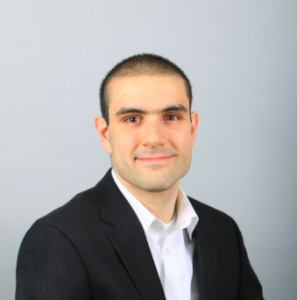 CBS News sources identified the suspect as Alek Minassian, 25. U.S. law enforcement sources told CBS News that the incident appears to be a deliberate act. Witnesses said the driver was moving fast and appeared to be acting deliberately. 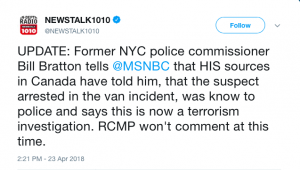 Official reports are saying not known to police but Bill Bratton is saying otherwise.